Taylor Lautner in "Grown Ups 2." 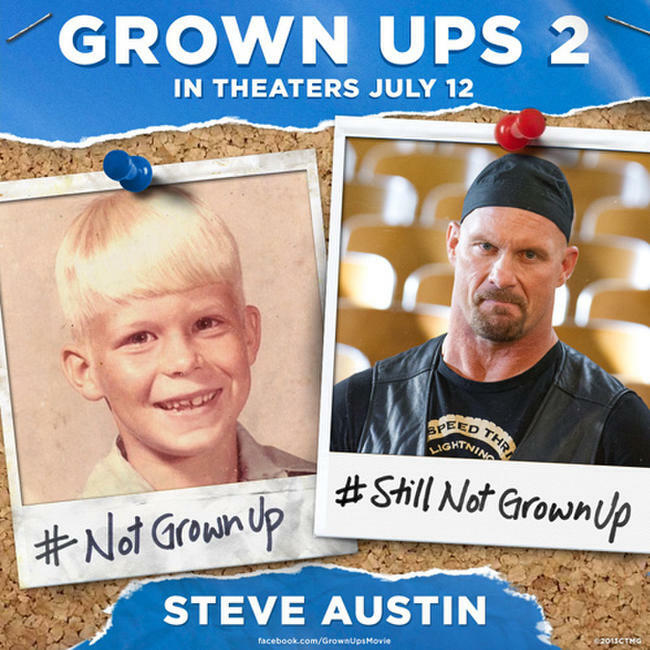 Salma Hayek Pinault as Roxanne Chase-Feder, Kevin James as Eric Lamonsoff, Alexys Nicole Sanchez as Becky Feder, Chris Rock as Kurt McKenzie, Maria Bello as Sally Lamonsoff, Adam Sandler as Lenny Feder and David Spade as Marcus Higgins in "Grown Ups 2." Kevin James as Eric Lamonsoff, Adam Sandler as Lenny Feder, Chris Rock as Kurt McKenzi and Kris Murrell as Kitty in "Grown Ups 2." Nick Swardson as Nick, David Spade as Marcus Higgins, Chris Rock as Kurt McKenzi, Kevin James as Eric Lamonsoff and Adam Sandler as Lenny Feder in "Grown Ups 2." 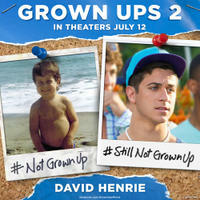 David Henrie in "Grown Ups 2." 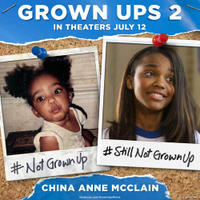 China Anne McClain in "Grown Ups 2." 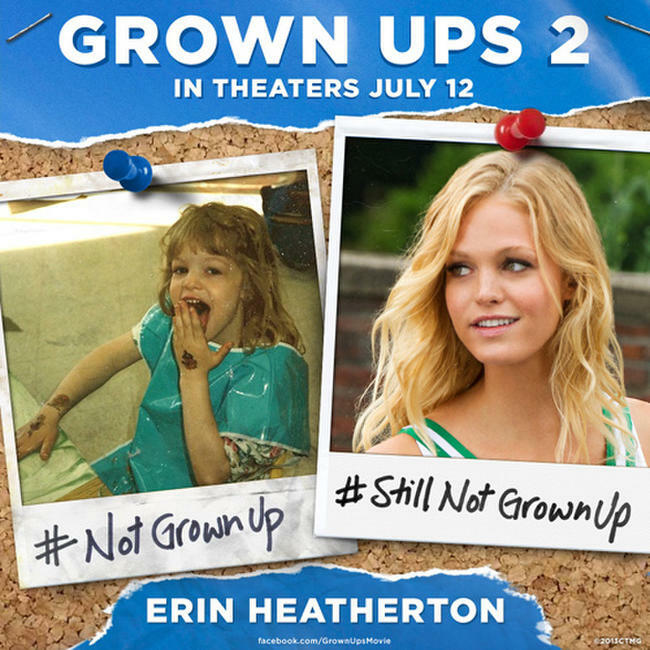 Erin Heatherton in "Grown Ups 2." 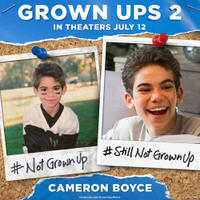 Cameron Boyce in "Grown Ups 2." Alexander Ludwig in "Grown Ups 2." April Rose in "Grown Ups 2." Aly Michalka in "Grown Ups 2." 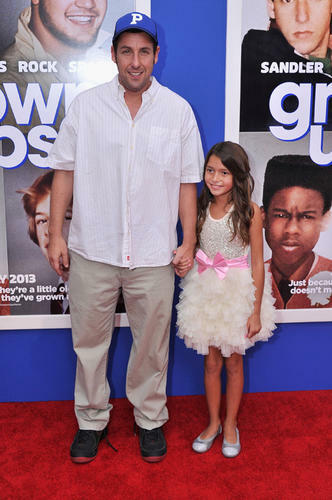 Salma Hayek as Roxanne Feder and Adam Sandler as Lenny Feder in "Grown Ups 2." Kevin James as Eric Lamonsoff, David Spade as Marcus Higgins, Adam Sandler as Lenny Feder and Chris Rock as Kurt McKenzie in "Grown Ups 2." 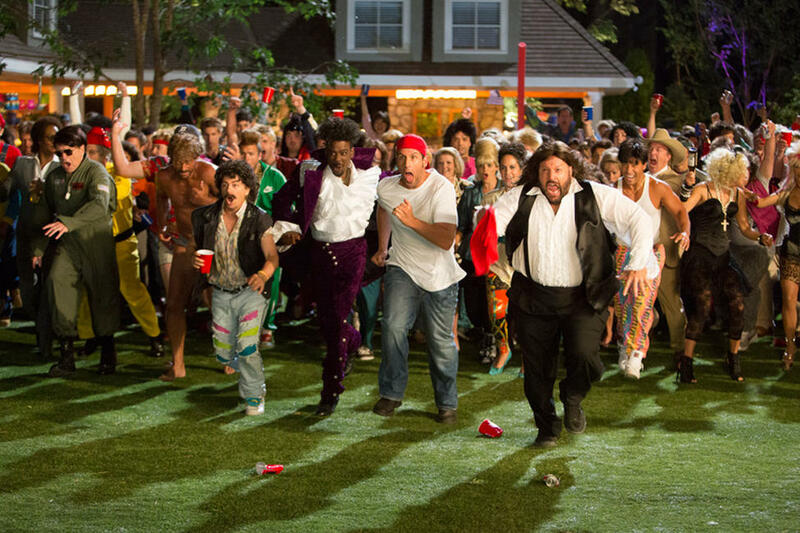 Kevin James as Eric Lamonsoff, David Spade as Marcus Higgins, Jonathan Loughran as Robideaux ,Chris Rock as Kurt McKenzi and Adam Sandler as Lenny Feder in "Grown Ups 2." 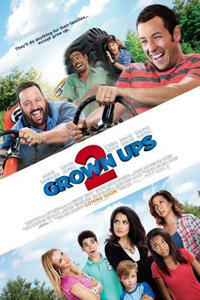 Frank/Morgan Gingerich as Bean Lamonsoff, Kevin James as Eric Lamonsoff, Salma Hayek as Roxanne Feder, Chris Rock as Kurt McKenzie, Alexys Nycole Sanchez as Becky Feder, Maria Bello as Sally Lamonsoff, Adam Sandler as Lenny Feder and David Spade as Marcus Higgins in "Grown Ups 2." 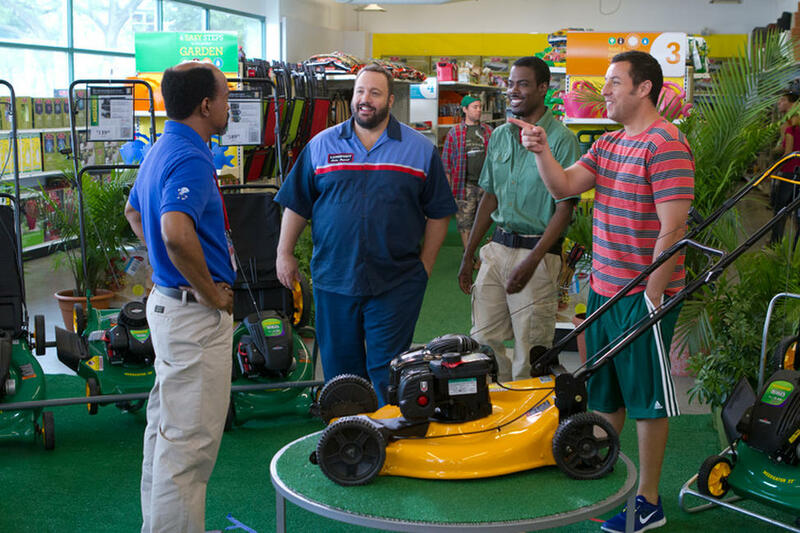 Tim Meadows as Malcolm, Kevin James as Eric Lamonsoff, Chris Rock as Kurt McKenzi and Adam Sandler as Lenny Feder in "Grown Ups 2." 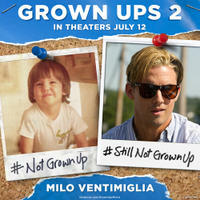 Milo Ventimiglia in "Grown Ups 2." 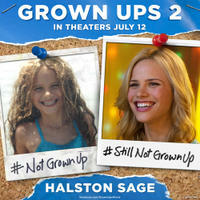 Halston Sage in "Grown Ups 2." 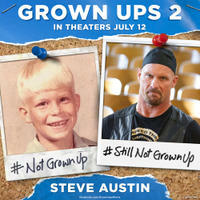 Steve Austin in "Grown Ups 2." 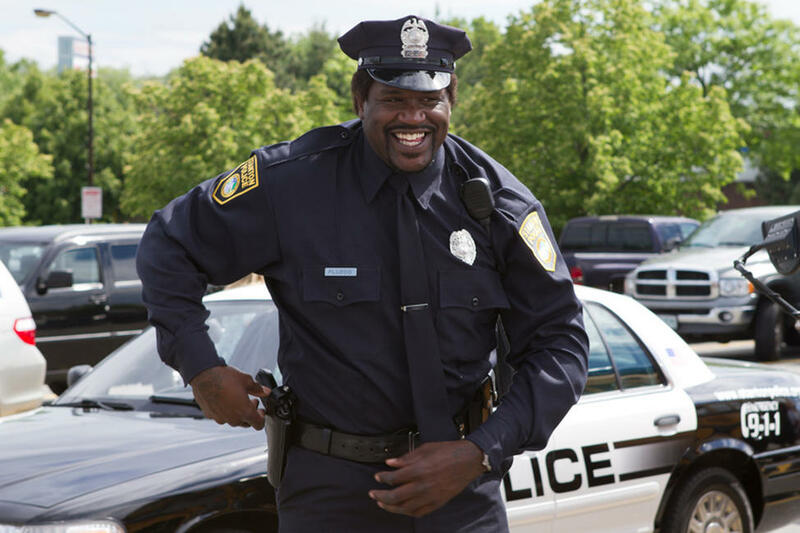 Shaquille O'Neal in "Grown Ups 2." Salma Hayek in "Grown Ups 2." 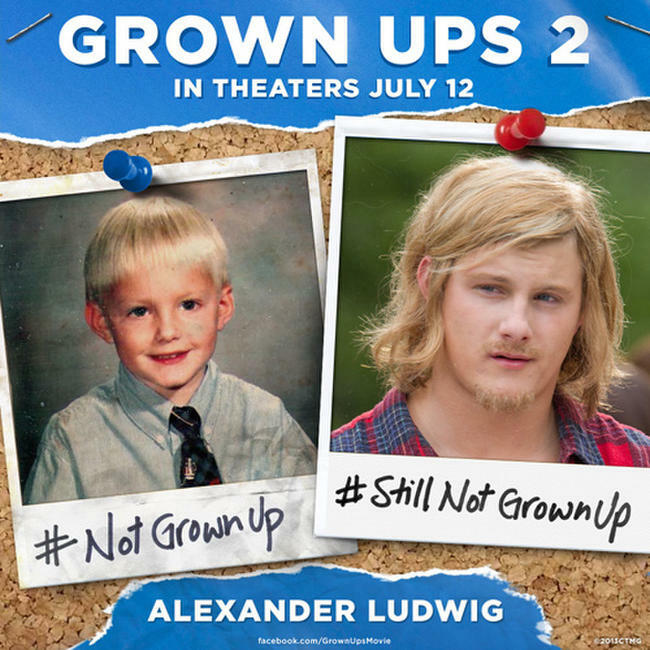 Patrick Schwarzenegger as Frat Boy Cooper, Milo Ventimiglia as Frat Boy Milo, Taylor Lautner as Frat Boy Andy, Jimmy Tatro as Frat Boy, Kevin James as Eric Lamonsoff, Chris Rock as Kurt McKenzie, Adam Sandler as Lenny Feder and David Spade as Marcus Higgins in "Grown Ups 2." Taylor Lautner as Frat Boy Andy and Adam Sandler as Lenny Feder in "Grown Ups 2." April Rose as Casey Knox, Alexys Nycole Sanchez as Becky Feder, Salma Hayek Pinault as Roxanne Feder and Adam Sandler as Lenny Feder in "Grown Ups 2." Jake Goldberg as Greg Feder and Cameron Boyce as Keithie Feder in "Grown Ups 2." 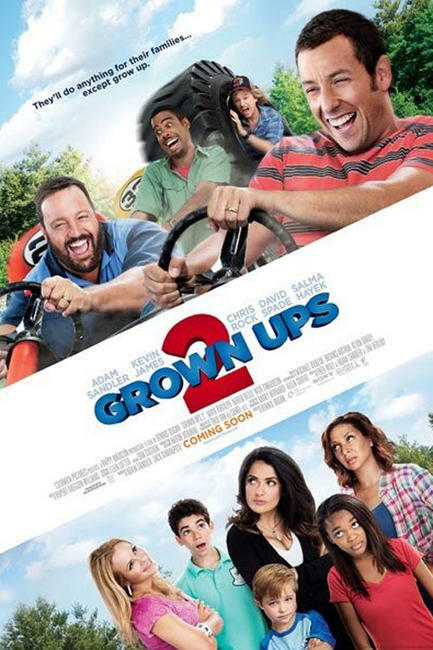 Colin Quinn as Dickie Bailey, Kevin Grady as Muzby, David Spade as Marcus Higgins, Chris Rock as Kurt McKenzie, Adam Sandler as Lenny Feder, Kevin James as Eric Lamonsoff, Maria Bello as Sally Lamonsoff, Salma Hayek Pinault as Roxanne Feder in "Grown Ups 2." Maya Rudolph as Deanne McKenzie in "Grown Ups 2." 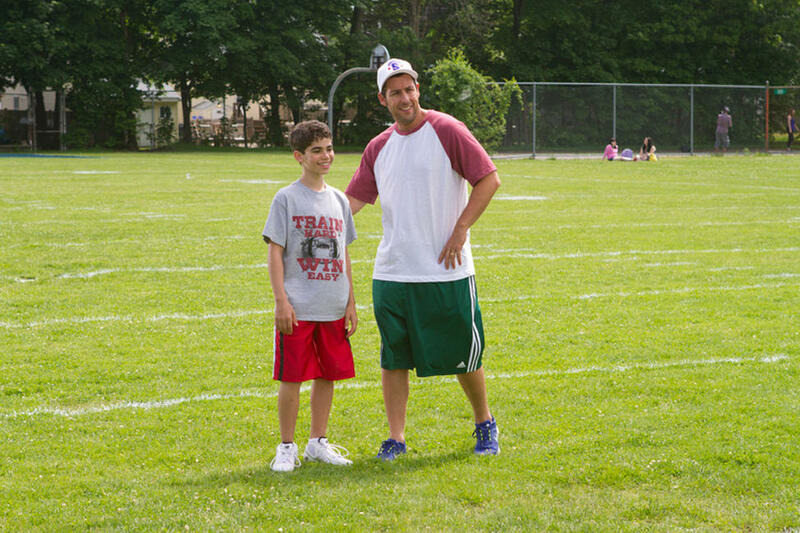 Adam Sandler as Lenny Feder and Cameron Boyce as Keithie Feder in "Grown Ups 2." Director Dennis Dugan and Adam Sandler on the set of "Grown Ups 2." 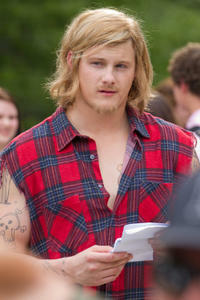 Alexander Ludwig as Braden in "Grown Ups 2." Ada-Nicole Sanger as Donna Lamonsoff and China Anna McClain as Charlotte McKenzie in "Grown Ups 2." Jake Goldberg as Greg Feder, Colin Quinn as Dickie Bailey and Halston Sage as Nancy Arbuckle in "Grown Ups 2." Nadji Jeter as Andre McKenzie and Jake Goldberg as Greg Feder in "Grown Ups 2." 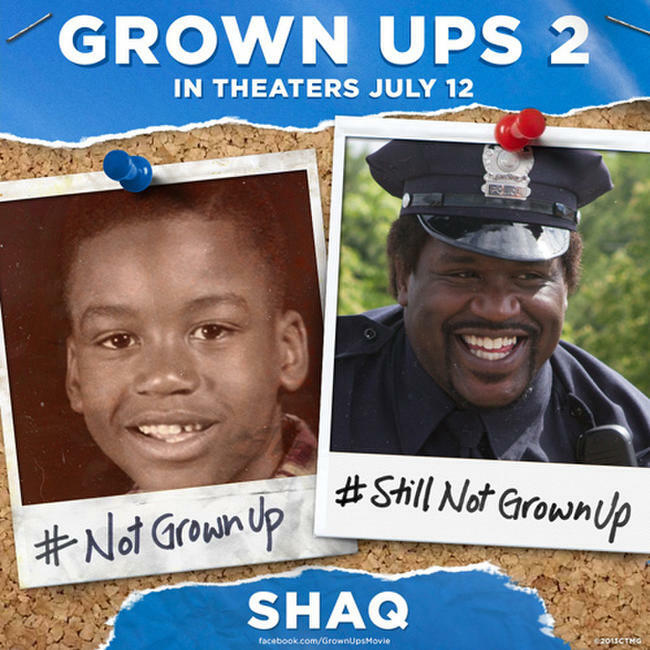 Shaquille O'Neal as Tommy and Peter Dante as Dante in "Grown Ups 2." 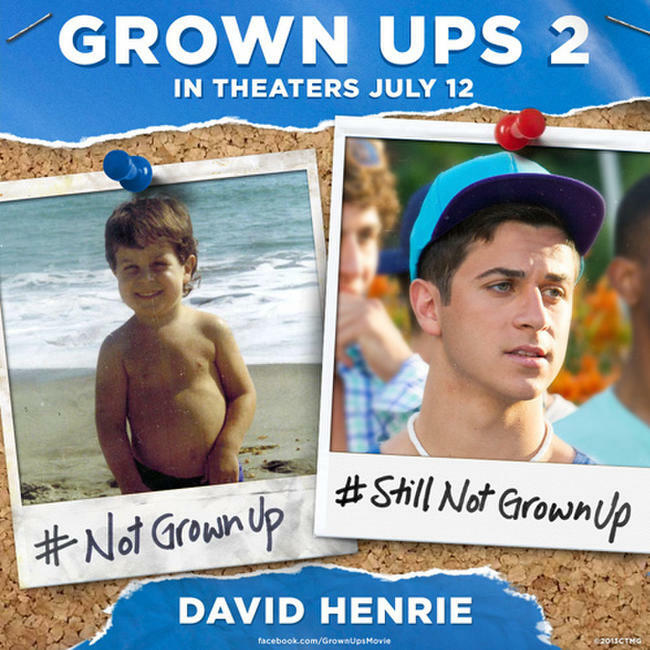 David Henrie as Frat Boy Zac in "Grown Ups 2." Cameron Boyce as Keithie Feder in "Grown Ups 2." Patrick Schwarzenegger as Frat Boy Cooper in "Grown Ups 2." 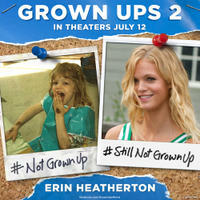 Erin Heatherton as Cheerleader Ginger in "Grown Ups 2." Jimmy Tatro as Frat Boy in "Grown Ups 2." Alexys Nicole Sanchez as Becky Feder in "Grown Ups 2." 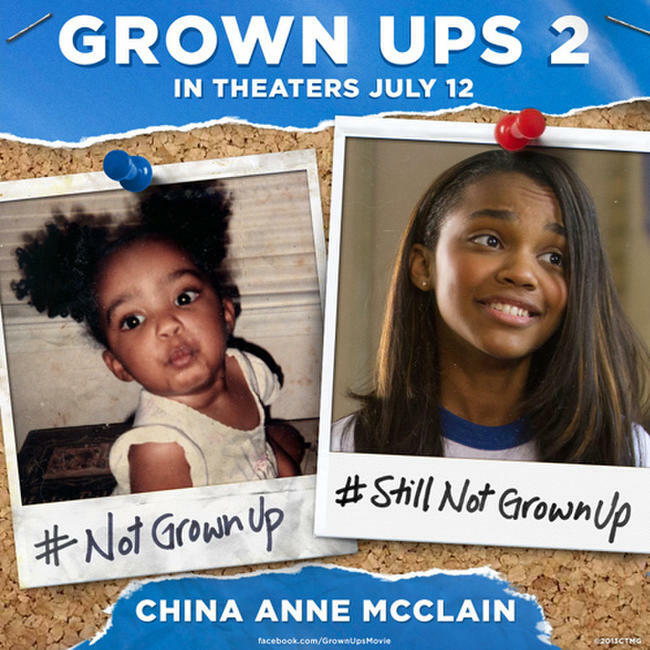 China Anna McClain as Charlotte McKenzie in "Grown Ups 2." 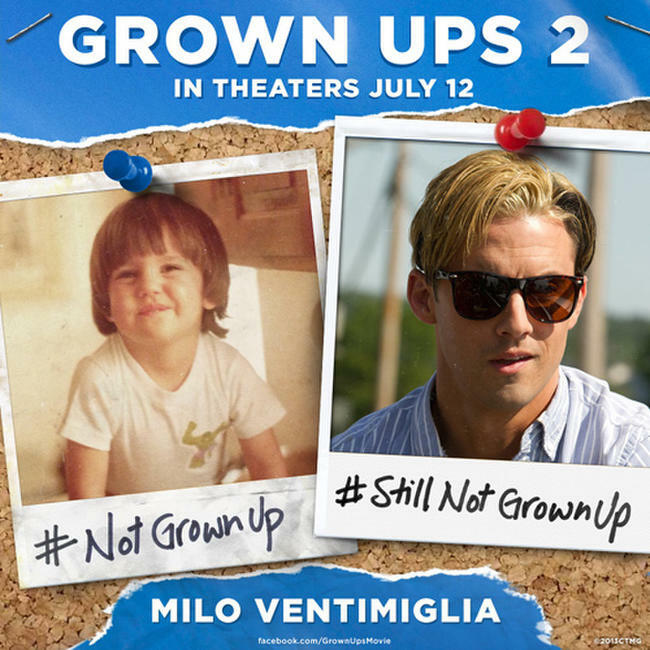 Milo Ventimiglia as Frat Boy Milo in "Grown Ups 2." 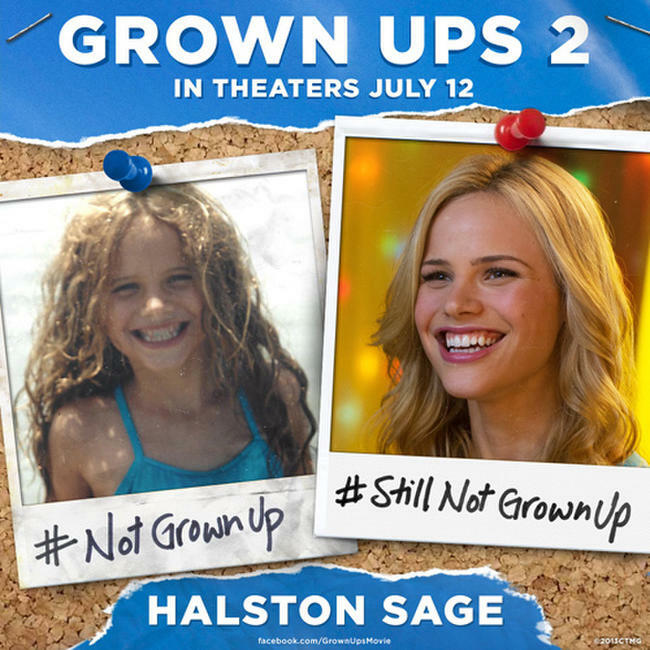 Halston Sage as Nancy Arbuckle in "Grown Ups 2." April Rose as Casey Knox in "Grown Ups 2." Maria Bello as Sally Lamonsoff in "Grown Ups 2." 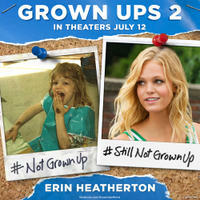 Aly Michalka as Savannah in "Grown Ups 2." 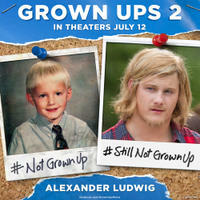 Alexander Ludwig as Braden and David Spade as Marcus Higgins in "Grown Ups 2." Taylor Lautner as Frat Boy Andy, Chris Titone as Frat Boy Chris, Jared Sandler as Frat Boy Jared and Milo Ventimiglia as Frat Boy Milo in "Grown Ups 2." Maya Rudolph as Deanne McKenzie, Maria Bello as Sally Lamonsoff and Kris Murrell as Kitty in "Grown Ups 2." 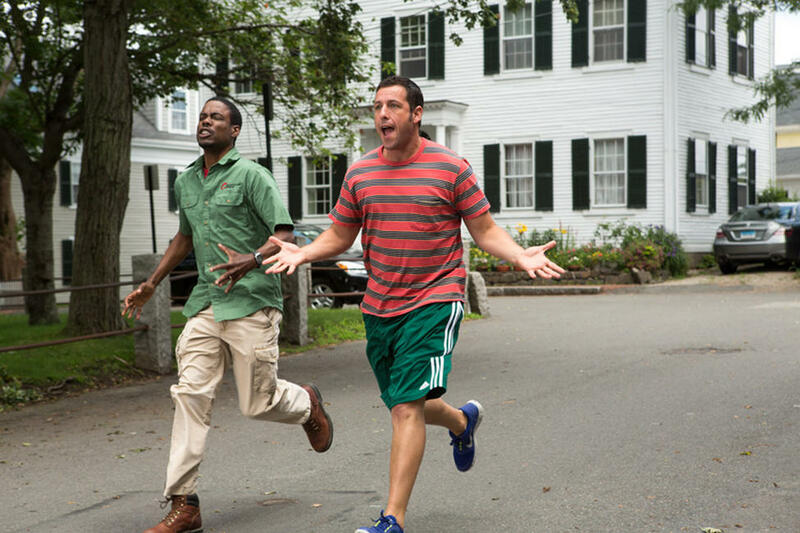 Chris Rock as Kurt McKenzie and Adam Sandler as Lenny Feder in "Grown Ups 2." 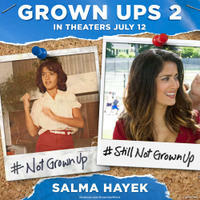 Salma Hayek Pinault as Roxanne Feder in "Grown Ups 2." 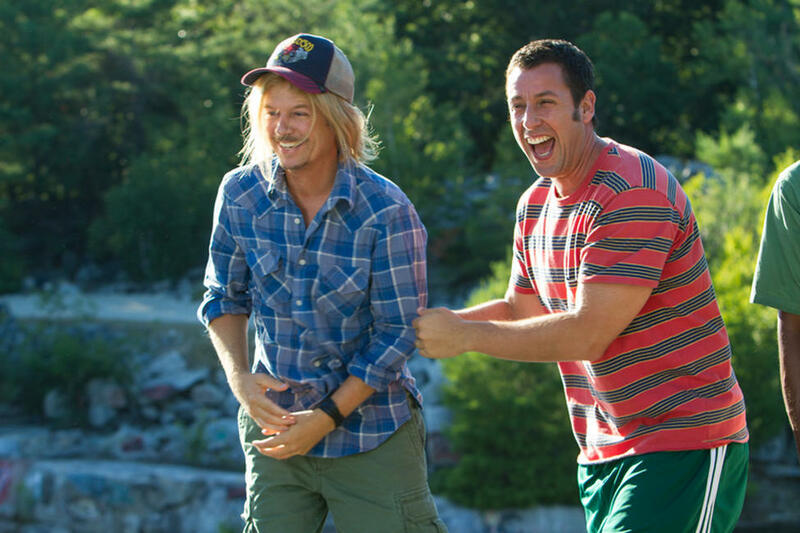 David Spade as Marcus Higgins and Adam Sandler as Lenny Feder in "Grown Ups 2." 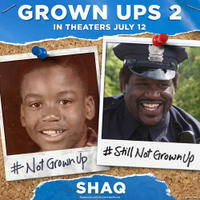 Shaquille O'Neal as Tommy in "Grown Ups 2." Jake Goldberg as Greg Feder, Salma Hayek Pinault as Roxanne Feder, Cameron Boyce as Keithie Feder, Alexys Nycole Sanchez as Becky Feder and Adam Sandler as Lenny Feder in "Grown Ups 2." 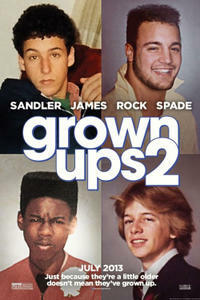 Adam Sandler as Lenny Feder, Kris Murrell as Kitty, Kevin James as Eric Lamonsoff, Chris Rock as Kurt McKenzie and David Spade as Marcus Higgins in "Grown Ups 2." David Spade as Marcus Higgins, Chris Rock as Kurt McKenzi, Adam Sandler as Lenny Feder, Kevin James as Eric Lamonsoff and Maria Bello as Sally Lamonsoff in "Grown Ups 2." 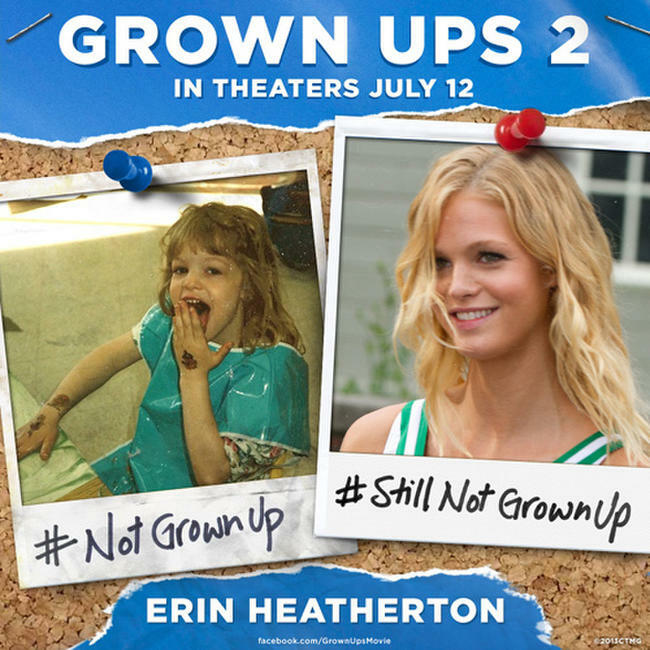 Poster art for "Grown Ups 2."